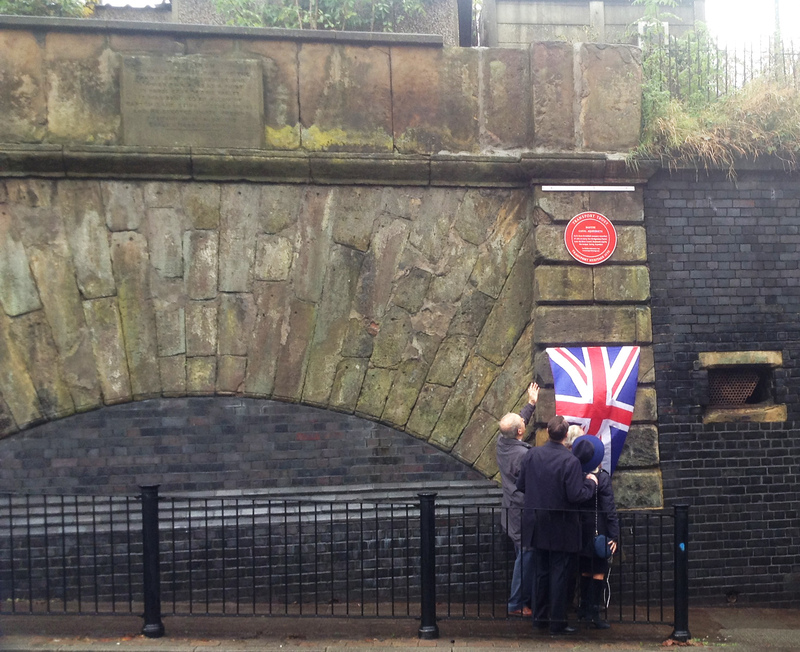 Arch of Brindley's masonry aqueduct of 1761, to carry the Bridgewater Canal over the River Irwell. Replaced 1893 by the unique iron Swing Aqueduct over the new Manchester Ship Canal. 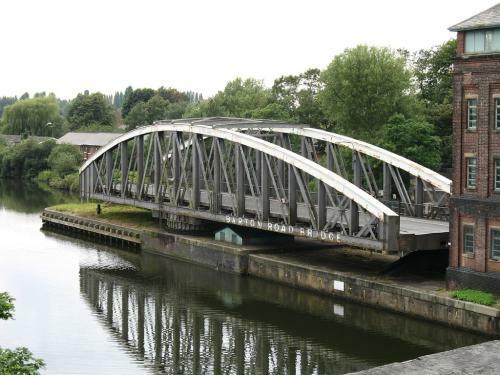 The Barton Swing Aqueduct is a moveable aqueduct in Barton upon Irwell in Greater Manchester, England. 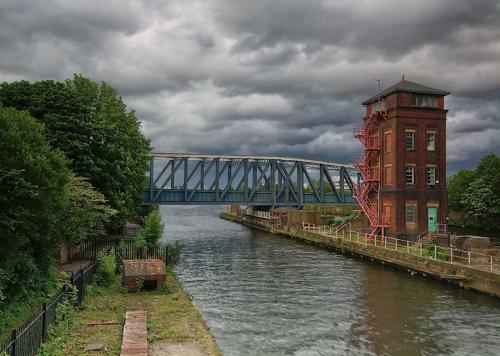 It carries the Bridgewater Canal across the Manchester Ship Canal and allows the large vessels using the Manchester Ship Canal to pass by the canal. It is considered a major feat of Victorian civil engineering. Designed by Sir Edward Leader Williams and built by Andrew Handyside of Derby, it opened in 1894 and is regularly used to this day. 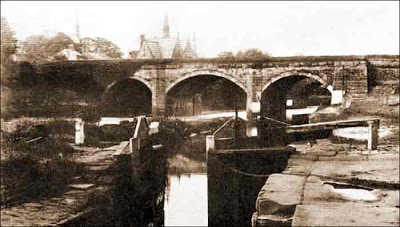 It was a direct replacement for the earlier Barton Aqueduct, a stone structure crossing the River Irwell. The original stone aqueduct was designed by James Brindley and built in 1761; it was described as 'one of the seven wonders of the canal age'. 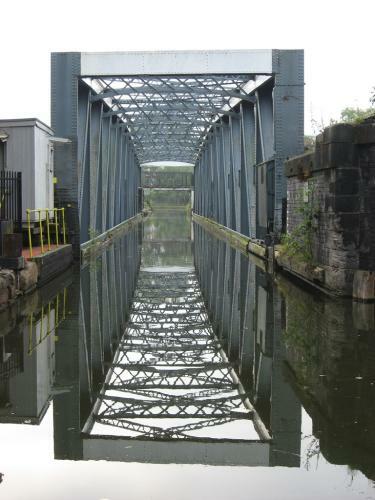 The construction of the Manchester Ship Canal in the 1890s necessitated the replacement of this structure, as the ships using the new canal would have been too large to pass under it. An alternative scheme involving the use of a double lock flight was not used, because of the need to conserve Bridgewater canal water. 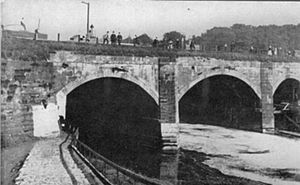 The new aqueduct was designed by Sir Edward Leader Williams, engineer to the Manchester Ship Canal Company, and built by Andrew Handyside of Derby. 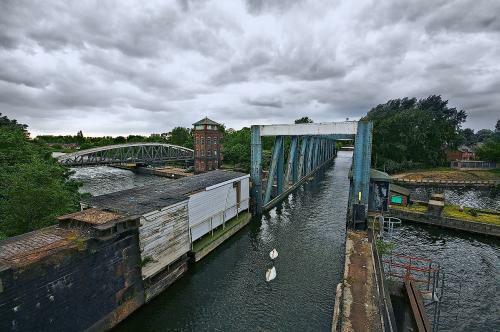 It became operational in 1893 with the first barge crossing it on 21 August (Williams was also involved with the design of the region's other major 'moving canal' feat, see entry for the Anderton Boat Lift in Cheshire). The aqueduct is a form of swing bridge. 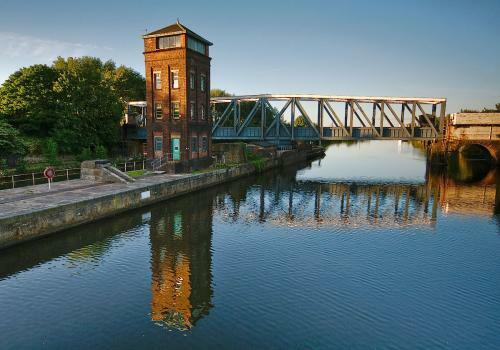 When closed, it allows canal traffic to pass along the Bridgewater Canal. When large vessels need to pass along the Ship Canal, the 1,450 metric tons 100 m ( 330 ft)long iron trough is rotated 90 degrees on a pivot mounted on a small, purpose-built island in the Ship Canal. A gate at each end of the trough retains around 800 tonnes of water; further gates on each bank retain water in their adjacent stretches of canal. The aqueduct once had a suspended towpath along its length, however, this has been removed in recent years on grounds of safety. The island in the ship canal is also the pivot point and control centre for the swing road bridge so when boats pass on the ship canal, both are lined up along the island. The bridge is controlled from a brick control tower on this island. The aqueduct is a Grade II* Listed Building. By road: Off B5211, Barton Road. Boughey, Joseph. 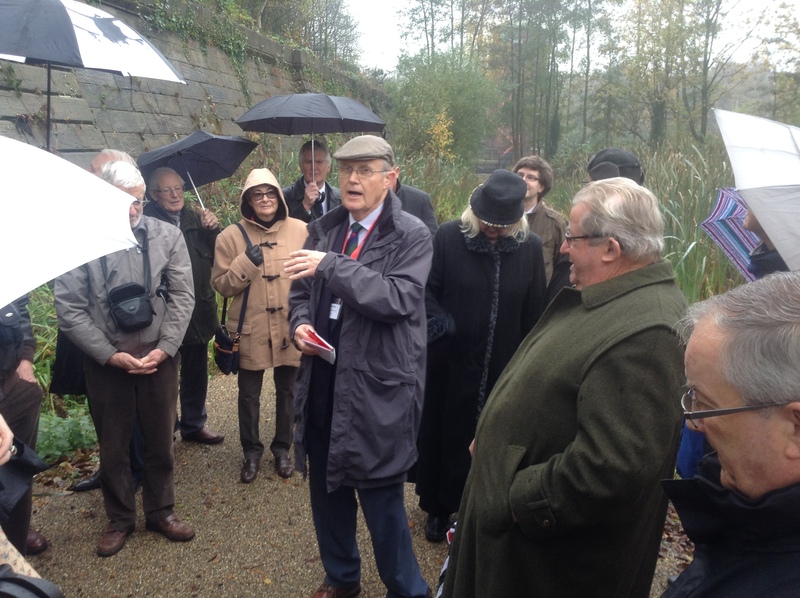 Hadfield’s British Canals: the Inland Waterways of Britain and Ireland.